We have been busy getting ready for the world’s premier art show, The European Fine Art Fair (TEFAF) in Maastricht, Holland. It will run from March 12th through the 24th. The show has its origins as the “Pictura Fine Art Fair,” opening in 1975 with a specialty in Old Master paintings and medieval sculptures. Over the years, the show expanded to include textiles, Modern and Contemporary painting, jewelry, books and manuscripts, and Classical Antiquities. 275 galleries from 20 countries now exhibit at the Fair, bringing an outstanding range of art and antiques. Whether one is looking for furniture, paintings, jewelry, musical instruments, or carpets, all can be found at TEFAF, and then some. 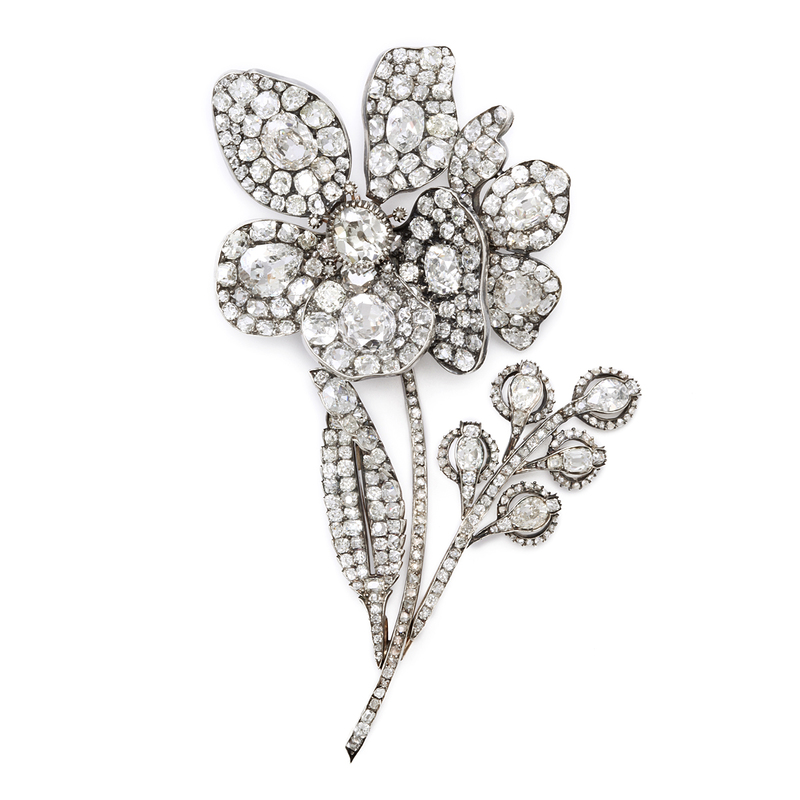 Our highlights include a selection of our antique jewels: a nineteenth-century Russian diamond brooch in the form of a peony, set en tremblant, and a diamond and peridot dragonfly, also set en tremblant. We are also bringing a selection of Faberge animals, such as a group of hardstone circus elephants, including a jasper one with rose diamond eyes once owned by HRH Prince Henry, Duke of Gloucester, son of King George V and Queen Mary. Further information regarding tickets and more can be found on the TEFAF website.